Since we will be headed to the beach this summer, I decided to take a "page" out of Adriana’s "book" at My Bilingual Boys. 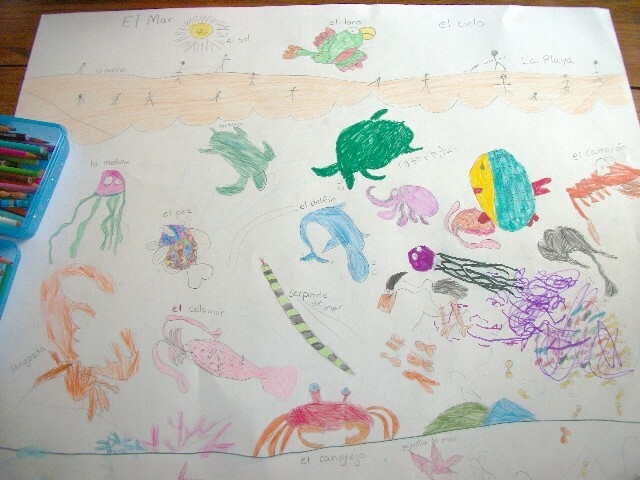 So we have started learning about the ocean in both English and Spanish. 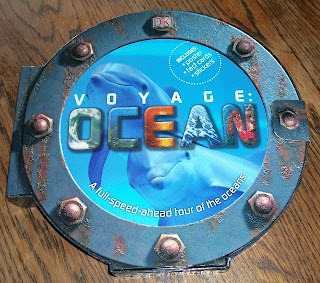 I bought a fabulous little book from DK Publishing titled, Voyage: Ocean A full-speed-ahead tour of the oceans. 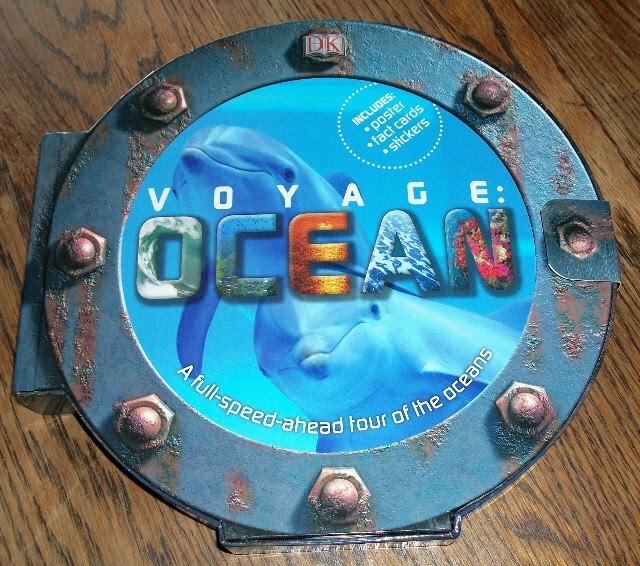 We really love it because it includes a poster, fact cards and some fun stickers. 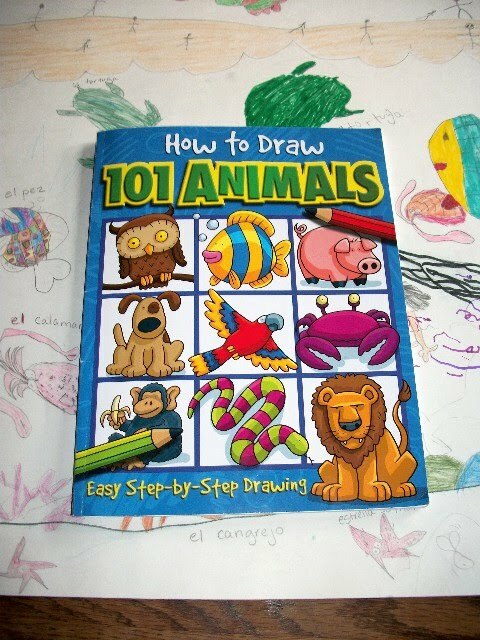 And then we went through and labeled all the animals in Spanish. 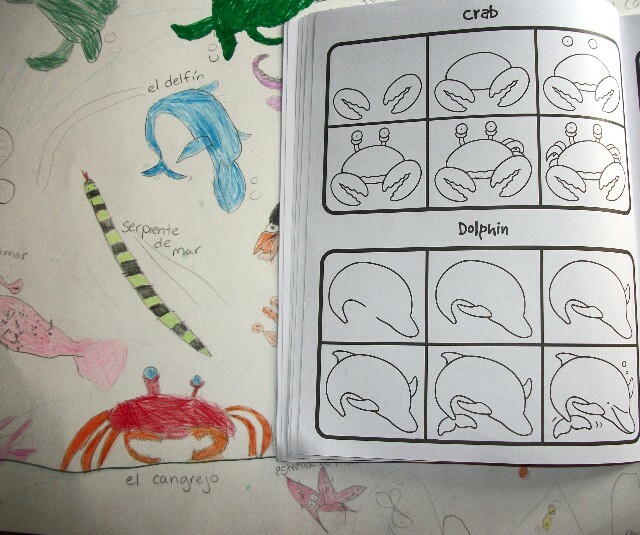 I have some more projects in Spanish to include using pictures that I have taken of their drawings. More on that later. For those of you interested in doing an ocean study this summer, check out My Bilingual Boys for some more project ideas. Thanks for mentioning me! We have a raining afternoon here so I think that we are going to pull out a large piece of paper and make an ocean scene also. Great idea! Thanks for the books recommendations also!